Up to 6% off trips from MiCuba. Find 5 tours with discounts, with tour pricing starting from only $71 per day. "Yunior was an amazing guide. 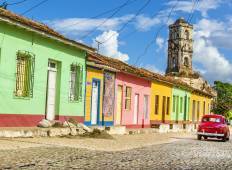 th e insight to the local Cuba way if life was so valuable..."
"The trip was amazing, the whole process of booking was outstanding, the food, the..."
"We had a wonderful time in Cuba on our family holiday. Maayke helped us organize..."
"I really recommend this tour, it is a real local experience. We didn't feel as tourists...."
"The 15 day tour far exceeded all my expectations. As I’ve told friend, put $1,000..."
"Everything was good organice and in time. The acomodation very specials." "We loved our trip in Cuba. It was a unique experience for us. 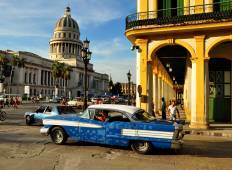 Our 15 day itinerary..."
"Amazing days in Cuba. We visited almost all Cuba. Evertyhing well organized, on time,..."